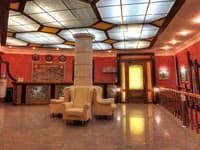 Mini hotel "Ocean" is located in the central part of Kiev near the metro station "Lybedskaya" and "Demeevskaya". 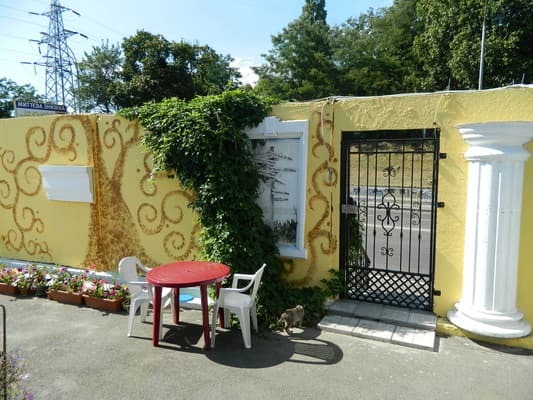 Double, quadruple and six-bed rooms are available. 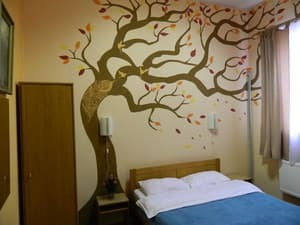 The four and six-bed rooms are equipped with bunk beds with German orthopedic mattresses. 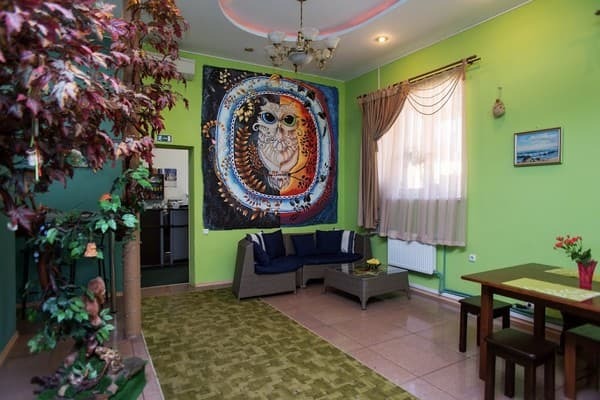 The mini-hotel "Ocean" has a kitchen-hall equipped with a TV with satellite TV, a fridge, an electric stove, a microwave, a cooler, a kettle and all necessary cooking utensils. For a comfortable stay, the mini hotel is equipped with four bathrooms with showers and 24-hour water supply. A hairdryer, iron and ironing board are available on request. Guests can make use of free Wi-Fi access and a storage room, as well as paid parking for up to 8 people. Mini hotel "Ocean" provides guests with the opportunity to relax in a sauna on the wood. 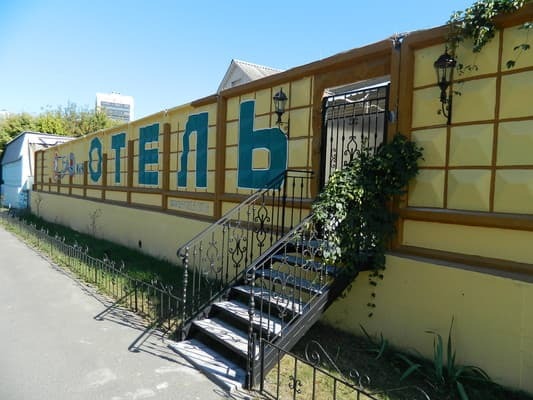 The distance to the railway station is 4,4 km, the airport Borispol - 32 km, the bus station 1,2 km. 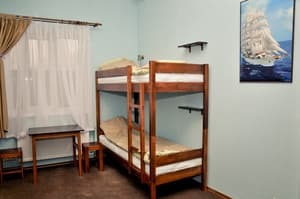 Description of the room: The room has three bunk beds. There is a wardrobe for clothes and personal items, air conditioning, a coffee table and bedside tables. 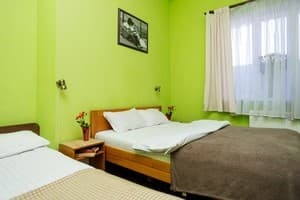 Description of the room: The room has a double bed and single beds. There is a wardrobe for clothing and personal items. Children under 4 years - free of charge without extra bed. 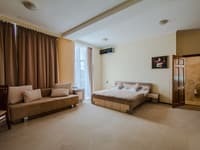 Extra bed in a double room - 70 UAH. It is possible to order breakfast. Nearby there are restaurants, bars, cafes. 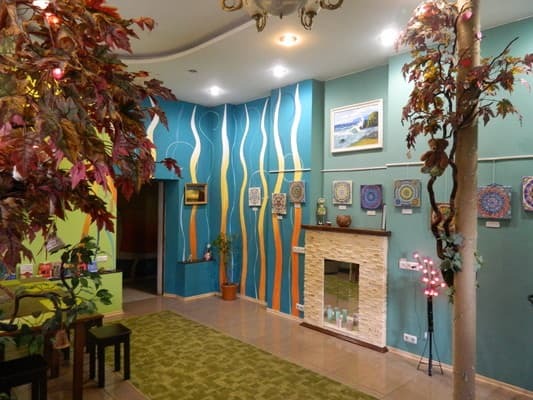 On the right bank of the Dnieper, near the metro station "Lybedskaya" 2.2 km, "Demeevskaya" 1.3 km, shopping and entertainment center "OCEAN PLASA", bus station. From the bus station 10 minutes walk. Go past Demeevsky market on the street. 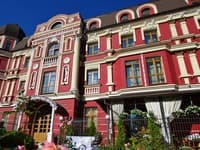 Izyumskaya to the intersection with the street. Kirovograd, turn right at the intersection. From the central railway station by taxi or on the bus No. 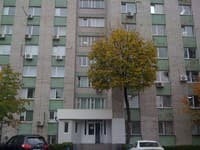 5, go to the stop on request "Izyumskaya St., 6".